But sending your little one off to school for a new year isn’t as easy as packing a lunchbox and waving bye, there are stationary lists to buy, clothes and uniforms to label and lots of bits and pieces to organise. Here’s what I’ve done this year, and in the past to get things sorted. 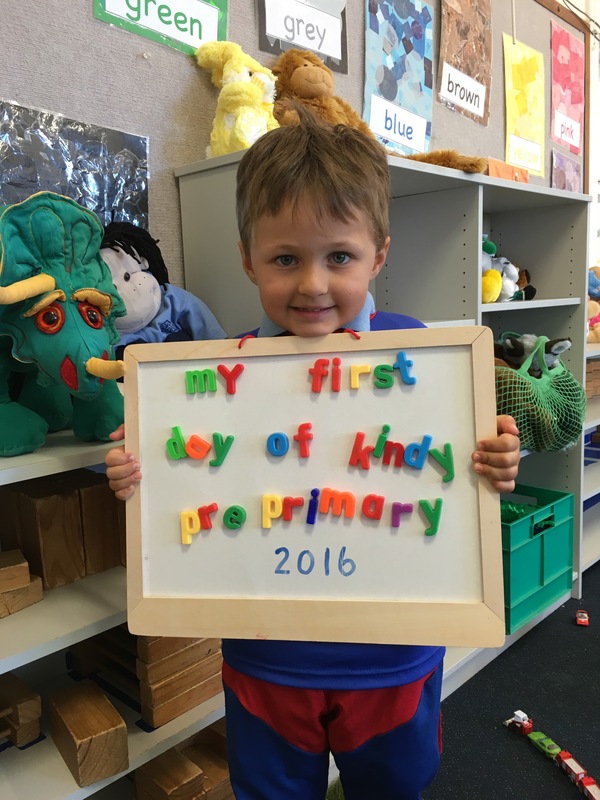 This didn’t seem like a priority when the boys first started school, because really how much stuff can they have in preschool? The answer is lots. Apart from their massive bags, they have hats, spare clothes, notes, home readers, library books, artwork, lunchboxes, and lots of random crap that they seem to collect every day. All of this ‘stuff’ needs a home and unless you want it scattered around the house (and it’s fine if you do), having to frantically search for it each day, then a spot for your child’s bag is a great idea. I’ve seen some pretty fancy school bag stations, and to tell the truth I did turn my nose up at them at first. We definitely couldn’t afford to buy a fancy shelf when the boys were younger and so for the first 3 years of school we had a nice hat/ bag racks by the front door, which worked fairly well. The key is to have a routine- make sure your kids know where their school bag goes at the end of each day. This year, we have saved up and invested in some of those shelves that I first sniffed at. The reality is, as the kids get older they acquire even more items they need each week, and the extra curricular bits and pieces increase too. 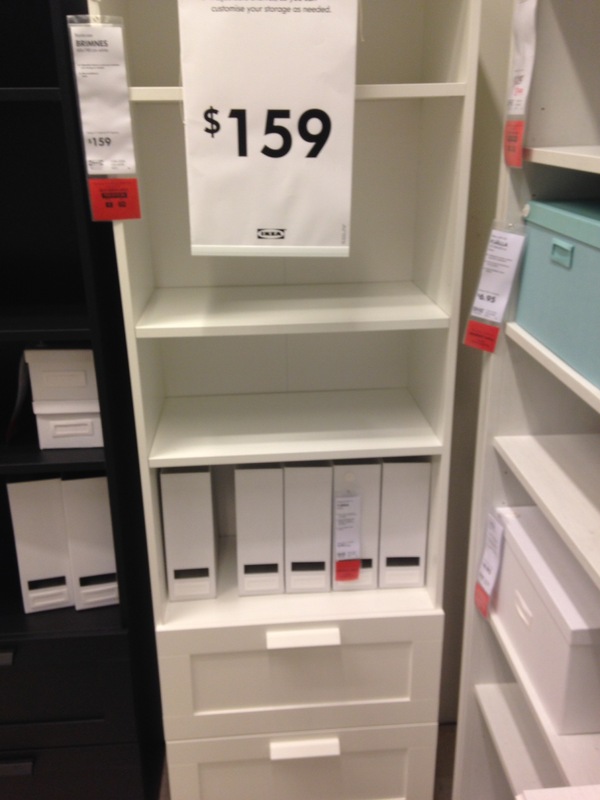 So we bit the bullet, and headed to Ikea, where we priced up and compared a range of shelving/ storage solutions, before deciding on the ‘Brimnes bookcase’ for $159 each. While we could squeeze in 2 kids bags into one unit- which is a really budget friendly solution- we decided to grab three of these (lucky we had been budgeting!) and a cupboard unit, with the plan to buy a fourth when we can afford it. This will mean that each of the family will have a specific place to put their bags/ lunch boxes/ paperwork/ sports gear/ homework etc and it will be neat and out of sight. The units are slim and fit down our walkway near our back door and laundry. 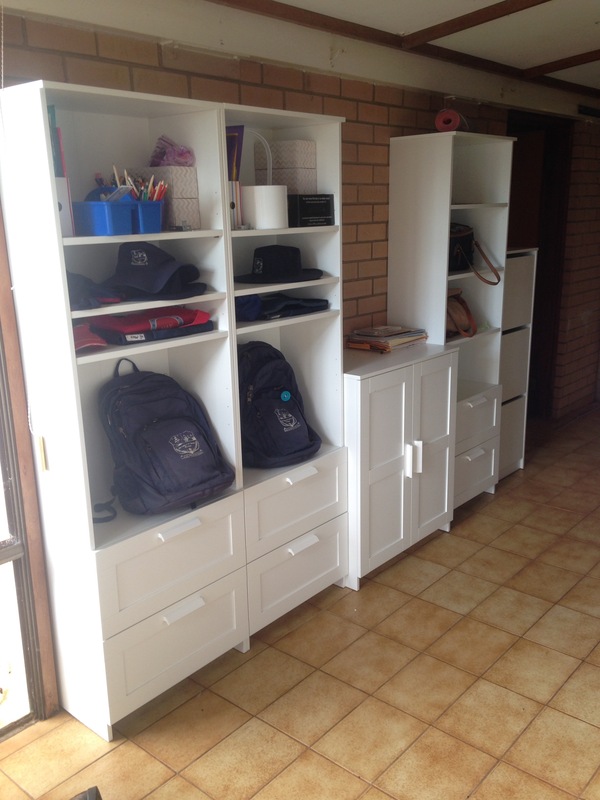 You really don’t have to spend that much to get a neat organisation area for your kids- a hook somewhere is great, Bunnings stock a great shelf for $50 that would work well (just remove one shelf to fit a bag), even a box on the floor out of the way is fine- do what suits you and your budget! One of the best ways to save money when your kids are at school is to not have to buy the same thing 3 times, so labeling everything is a must. I’ve tried a range of labeling methods and brands, including buying a home label machine. A permanent marker works in the interim but iron on labels seem to last a lot longer, and sew on labels for clothes are a great idea if you can find them. The point is, the better you label something, the more likely it is to come back to you if you loose it, which in turn means you save money in not having to shell out for the same thing over and over again. This definitely doesn’t have to be fancy- I use a housework tin from Target that fits an A4 book sideways and a few containers of pencils, rulers, textas etc. Most schools expect you to do some work with your child after school (generally just reading/ sight words etc to begin with), so having something that holds what they need handy that they can whip out is a great idea. My kids don’t love sandwiches- well they do but only if they get jam or honey in them which I don’t do for school (we have major sugar/ preservative/ coloring sensitivities)- so it can take some creative thinking to give them something they enjoy. My eldest seems to be becoming more and more fussy as time goes on, but oh well!! 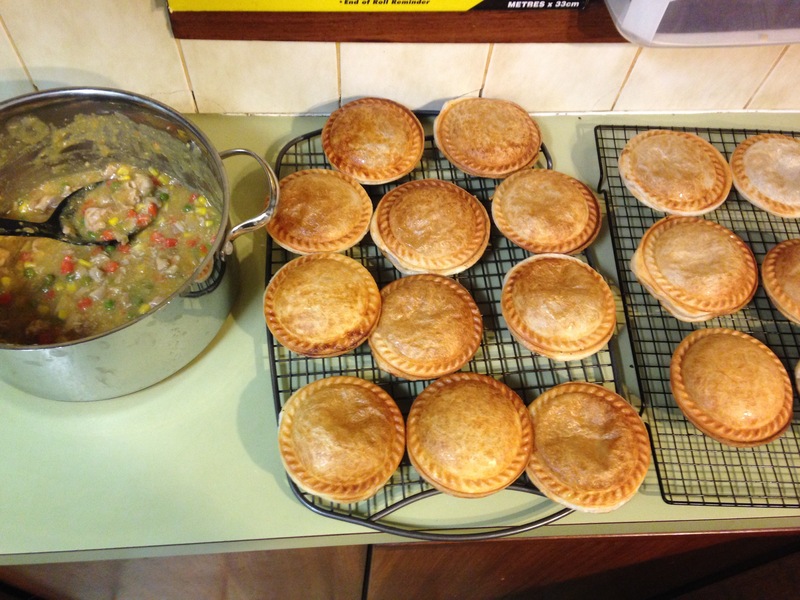 It seems like a lot of effort to go to but the pre planning really pays off when you are running late, or things aren’t quite going right on the odd school morning. I hope that helps! What do you do to get ready for school?